We have chosen four customer case histories to exemplify the relationships we foster and maintain with our client base. We hope you will enjoy them. Fish Mart of W. Haven, CT. has been a customer of Hudson Poly Bag for over 10 years. Owners Laura (Peach) Reid and Glen Fettes oversee the operation, the Northeast’s largest wholesaler of tropical fish, pets and selected supplies to retail pet, aquarium, and garden stores, as well as public aquariums. 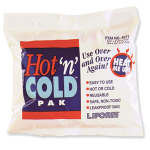 LiFoam Industries Division of Life-Like Products, Inc. has been a customer of Hudson Poly Bag for 10 years through three different owners. The current owners purchased Tech Pak in December 2005. The company manufactures polystyrene foam shipping systems using 14 injection molding machines, gel packs and freezer packs. They are also a corrugated reseller so as to supply complete shipping packages to the seafood, specialty food and Biomedical industries. Their facility is 100,000 square feet and employs 40-55 personnel, depending on the season. Millipore Corporation of Bedford, MA. is a Fortune 500 company and is one of the world’s leading manufacturers of filters used to purify human body fluids and blood. Some of Millipore’s products are used in kidney dialysis and during open-heart surgery. Because their filters may be used in critical medical applications, Millipore management pays strict attention to cleanliness and safety measures in the company’s manufacturing processes and the packaging of their products. Most of Millipore’s customers perform an inspection of a filter before it is removed from its protective packaging. Visual contamination is cause for immediate rejection and return to Millipore. Schott Fiber Optics of Southbridge, MA. is a well-known and respected producer of fiber optics for commercial and military applications. They are an acknowledged pioneer in their field and have become very successful in research and development aimed at converting its prowess in the defense industry into products suitable for commercial purposes.